Using a specialized process, we are able to prepare cotton candy sugar infused with a variety of strains of medical cannabis. 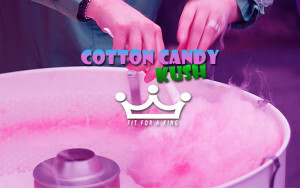 We are then able to set up a portable cotton candy machine at your event and serve up the freshly spun sweet to you and all who are in attendance. 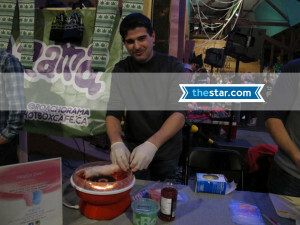 We started doing this at Special Community events like Green Market Toronto and every person who saw it in action was amazed at the option of having THC infused cotton candy served up fresh right in front of their eyes. The product was such a hit it got a review published as a featured article in DANKR digital community. We then did a repeat performance the following week at Nuit Verte and were lucky to speak with a reporter from the Toronto Star who in turn made us the highlight of her article.